QuickBooks Enterprise has many benefits which make it an excellent accounting solution for CPAs, accountants and many SMBs. The software has many features such as advanced inventory and advanced reporting, 6X the capacity of other QuickBooks editions and the flexibility to scale up. However, to meet the modern-day business challenges and to make it more efficient, powerful and effective, the software can be hosted on the cloud. Below are some of the benefits of QuickBooks Enterprise hosting. With QuickBooks Enterprise hosting, your data is stored on the cloud and employees have access to the software no matter where they are currently located, and irrespective of the device or platform they use. It provides a truly collaborative experience to the users. The most obvious benefit of QuickBooks Enterprise cloud hosting is the high-speed online response of the software, as it is installed and running on highly optimized and super fast servers provided by cloud providers. Security of your data is undoubtedly most crucial to your business. Threat or security lapse can occur due to negligence in data transfer in the network. Locally backing up the data may suffer if it attacked by some malware or manual errors. Hosted QuickBooks Enterprise allows storage of data in the safest way possible. With security systems like firewall protection, anti-virus and anti-malware protection, multi-factor authentication, etc., cloud service provider makes sure your accounting data is always protected. They also take multiple and regular backups of your data files so you can restore your data anytime in case it is required. With hosting, you get a customized portal for quick access to important data or files. It also provides you multi-user access to streamline process among various users working together. With the availability of the role-defined access, you can set the user permissions for different users. It can be a great help when you have multiple client files to deal with as you can restrict the access of clients to their specific files. When QuickBooks enterprise is hosted on the cloud, you do not have to install it on your system, as it is installed and run on the terminal servers (however, you need to have the license of QuickBooks Enterprise). You can access the software over an internet connection without any physical equipment setup. Cloud service providers use the latest technology for hosting QuickBooks enterprise, which offers you the highest uptime and ease of access. With the traditional system, sending files to and forth by CPAs or accountants is time-consuming. Hosting of QuickBooks Enterprise software allows your accountant, CPA or remote staff access the same file or information at the same time. Everyone can work on files simultaneously and achieve more. Thus, it increases collaboration among users, resulting in increased productivity. Hosting solution also lets you access full features of the latest QuickBooks Enterprise application, and for any version you need. It not only saves time and effort of installation, but all of them can be run on the same system. You don’t need to learn anything new as providers usually use the same application as you are using. With time, tasks of CPA and bookkeepers increases, especially during the tax season. Along with this, they also need to secure and maintain various invoices, statements, etc. However, QuickBooks Enterprise cloud allows them to be more productive as hosting comes with automated bills and invoices which eliminates all these hassles. Integration with the hosting solutions is easier, which helps in improving the automation with different processes. By integrating add-ons with QuickBooks Enterprise on the cloud, you can get rid of manual hassles involved in data entry. 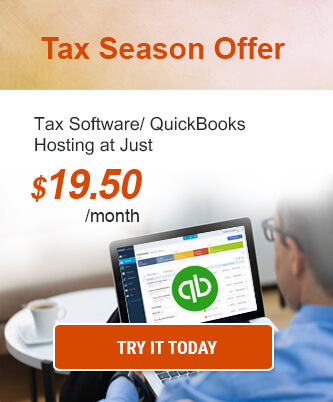 Hosting of QuickBooks Enterprise means that you are opting more than a product and it means choosing a team as well. QuickBooks Enterprise hosting service with reliable hosting providers like Ace Cloud Hosting offer proactive 24*7 customer support to help you troubleshoot any issues such as configuration, setup, permission control, etc. The cloud provider takes care of all the setup, maintenance or any other issue that might come with hosting of the software. Customer support becomes a part of regular benefits when hosted on cloud whether it is related to QuickBooks Enterprise or IT. The list could go on, but two factors alone – security in professional hands and remote access – make the hosting cost worthy. Great article! 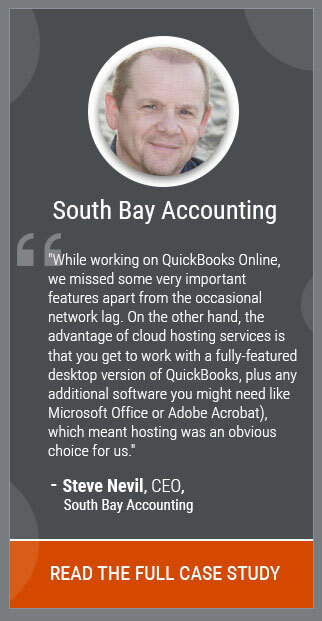 QuickBooks Enterprise cloud solution has proven to be the best for my business. Real-time access to all my important files and easy collaboration has added a great advantage for me.